Soup Sisters is proud to work with Nexen for the next three years. Nexen, through its ReachOut program, is a major donor that supports our huge demand for growth and helps us to keep the soup flowing and sustainable. 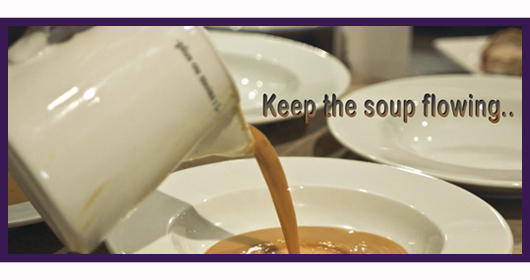 The Nexen ReachOut Employee Volunteer Program also provides us with the necessary hands-on community support required to provide over 800 servings of soup each month to five shelters in the Calgary area. 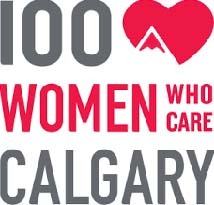 Soup Sisters is proud to work with Cenovus Energy to build better futures - together. Not only have they provided us with a financial investment (providing ongoing sustainability to the shelters we support and backing our overall program development), Cenovus staff and their family members are also actively in engaged in soup-making sessions year round. Hartel Holdings Vogel LLP INLIV Inc.
Louis Dreyfus Canada Ltd Lynne Riddell MDC Properties Services Ltd.
Marilyn Dyck Marina Helwig Markis Holding Ltd.
Patti and Alan Menkes Pengrowth Radomsky Contracting Ltd.
Michelle Louie Teresa Tso Pasta Polo Ltd.